The Long Island Ducks are proud to present "The Duck Club!" 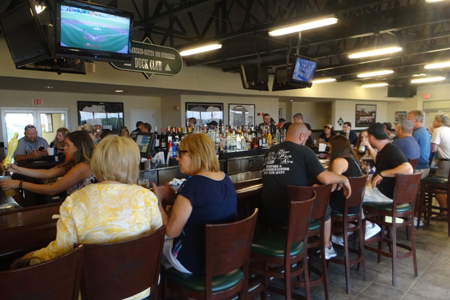 This spectacular restaurant and bar is located on the club level behind home plate at Bethpage Ballpark. 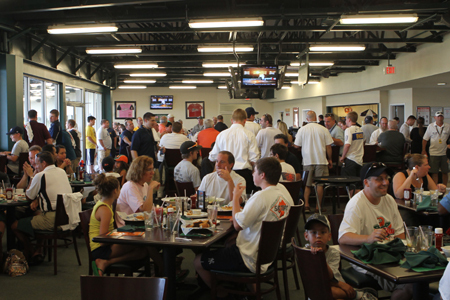 Fans now have the opportunity to wine and dine while enjoying Long Island Ducks baseball. A menu offering a wide variety of delicious appetizers, entrees, and desserts at affordable prices. Ledge-style seating that allows fans to enjoy a meal without missing a second of action on the field. Exclusive access for Ducks season ticket & luxury suite holders. Mini plan holders can add it to their package.